Perhaps you have heard of Reiki, the Japanese technique vaguely resembling a massage with little physical contact. The Reiki practitioner passes his hands over or lightly touches certain parts of the recipient’s body. Afterwards, the patient or recipient may feel a greater sense of well-being, reduced pain or anxiety, or a general sense of relaxation. What is really happening here? 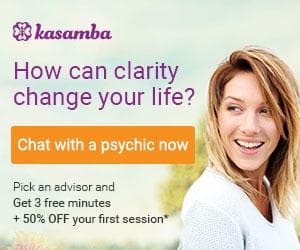 Does Reiki really work? How? The facts behind this seemingly mystical practice are much more fascinating than you might expect. The practice known as the “laying on of hands” has a rich tradition in the Western religious world of being used to pass on the Holy Spirit during baptisms, provide formal blessings, or grant divine “faith healings” through prayer-guided touching. Reiki really isn’t so different from this well-known Western practice, but it has no direct association with any religion. Reiki has a very different history from the Western “laying on of hands” practice. During his lifetime, Dr. Usui taught Reiki to at least 2000 people, who in turn taught others, and the system eventually spread from Usui’s home in Kyoto throughout the world. The method for passing on Reiki involves a ceremony described as “attunement,” in which the Reiki master opens the minds of his students through various methods. As many as 4 million people today have participated in Reiki training. Reiki is designed to treat a person’s spirit or “qi”, their life force. Reiki helps move around energy in a person’s body and mind to find proper balance, but it does not drain energy from the practitioner. It is said that by treating the spirit’s energy directly, the mind and body will benefit as well. In this way, the practice is often described as a kind of “self-healing” because the Reiki practitioner simply help people’s own energies heal themselves. Practitioners suggest using Reiki for stress relief, improving immunity, self-esteem boosting, relaxation, improving mental clarity, depression, physical pain, severe trauma or abuse, and chronic medical conditions. According to some Reiki experts, Reiki can aid the body fight off cancer or other terminal conditions. Reiki associations also warn that it should never be considered a replacement for medical treatment, however. It should be used in conjunction with whatever treatments medical doctors offer their patients. During a typical Reiki session, a person lays down on a massage table or similar surface. Unlike a massage, clothing need not be removed, but comfortable garments are preferred. The atmosphere will be relaxing, often including dimmed lights, running water, or soothing music. Sometimes silence is preferred, however. 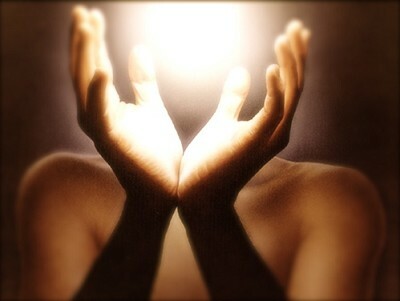 The Reiki practitioner will then place their hands on or near certain body parts to encourage or alter energy flow. Each hand placement typically lasts several minutes. The practitioner may use a pre-scripted Reiki energy flow strategy to determine hand placement, or they may “follow” the needs of the body, and decide on their own placements. Just for today, don’t get angry. Just for today, don’t worry. Just for today, work hard and honestly. Several sacred Reiki symbols may also be used during treatment, or they may be visualized by the Reiki practitioner during the procedure. The Power symbol is used to cleanse, purify, heal, and protect. It symbolizes the physical body. The Emotion symbol brings balance, harmony, and love to the qi. The Distance symbol creates deep spiritual connection. Its primary purpose is to heal by transcending time and space. Finally, the Master symbol is used in attunement ceremonies and meditations, to pass on the powers of Reiki and grant personal spiritual empowerment. The scientific verdict on Reiki has not shown it to be more effective at treating health problems than a placebo. There have not been very many clinical studies involving Reiki, and, in fact, the National Institute of Health only lists about five completed studies itself. This means that the amount of data acquired may simply be insufficient to provide meaningful results. Reiki might still work, in other words, but no evidence has shown that it works so far. Additionally, most scientific researchers and medical doctors do not believe that it is an effective treatment for physical or psychological illness. The philosophy of Reiki might sound very pleasant and well-meaning, but if it doesn’t really work, there’s no point, right? Not necessarily. While studies conducted on Reiki might not have given a conclusive answer to its direct effectiveness, that doesn’t mean that nobody can ever benefit from it. There have never been any reported negative effects from Reiki. This is not too surprising given the fact that very little touch is involved, and Reiki does not require that anything that could be potentially harmful be applied to either the inside or the outside of the body. So, at the very least, Reiki isn’t hurting anybody. In fact, it might actually be helping some people. Studies have shown that simply by presenting a relaxing setting and being given personal, positive attention by somebody who cares, there may be positive psychological benefits to traditions like Reiki. Some studies on Reiki specifically have shown that it can help induce relaxation, reduce anxiety, and temporarily relieve pain. Even if these effects aren’t the result of qi manipulation, as Reiki masters claim, they are still positive results. It is not surprising then that over 800 hospitals in America offer some form of Reiki as an additional treatment. In conclusion, Reiki practitioners claim that Reiki works by helping the body’s life energy find balance, which then benefits the mind and body. This may or may not be true. Yet, studies have shown that Reiki therapy at the very least offers relaxation and a sense of peace, both of which certainly benefit the body. Those benefits are well-documented. Reiki might be worth exploring for the many people seeking comfort or relief in this often troubling world.